The Honda BBC Contractor® 3’n1 SP mower features Masport’s latest innovation: the Blade Brake Clutch (BBC), which disengages the rotation of the mower blades without the loss of drive or having to stop the engine – handy when emptying the catcher, stopping to remove obstacles or when driving over garden paths and driveways, preventing dust and debris from being thrown out. 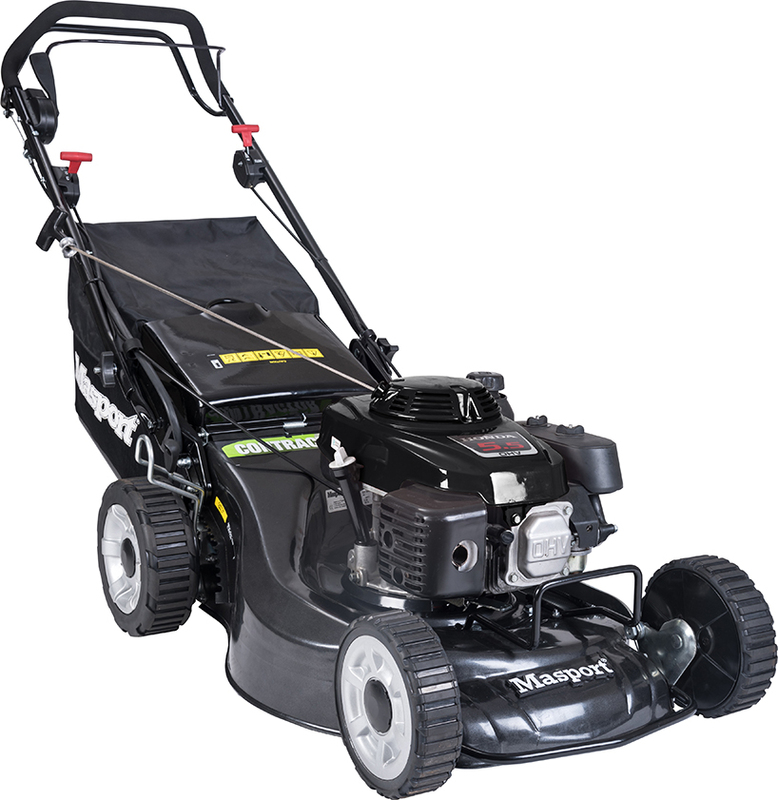 Featuring a commercial grade three-speed transmission, the Contractor® 3’n1 SP is powered by the well-known GXV160 Honda engine. The heavy duty high arch steel chassis is able to withstand sandblasting and hard impacts and is combined with the renowned Quadcut 4 blade cutting system, resulting in superior cutting, mulching and catching performance. The heavy duty cast alloy wheels and synthetic rubber tyres are extremely tough and are engineered to operate under commercial conditions, limiting possible down time. This mower is designed for residential properties, small acreage and commercial use.